Sodium bicarbonate (also known as baking soda, sodium hydrogen carbonate or bicarb) is a white crystalline powder with the formula NaHCO3. 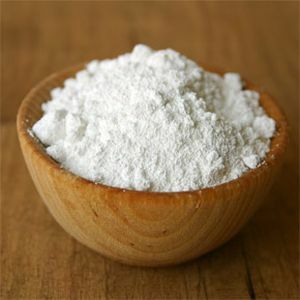 It is often used in cooking as a leavening agent. In medicine sodium bicarbonate is used to regurgitate gastric acid (gastric reflux) , aspirin overdose, tricyclic antidepressant overdose . During high intensity exercise, muscle cells get acidic (build up of H+) and carbon dioxide (by-product of aerobic respiration) accumulates in the muscles and blood. It is suggested that adding bicarbonate ions may help adjust the acid and CO2 . Matson and Tran  used meta analytic approach to combine and evaluate the effects of sodium bicarbonate ingestion and its effects on anaerobic exercise performance from mass of inconsistent and often contradictory studies. They found out that overall sodium bicarbonate supplementation increases performance. Mean increase in duration in studies that measured time to exhaustion was 27 +/- 20%. A much never meta analysis from 2011 by Carr and assistants  evaluated 59 studies. They noted that bicarbonate produced a possibly moderate performance enhancement of 1.7% (± 2.0%) with a typical dose of 0.3 to 0.5 grams per kilogram of body weight. In elite male swimmers sodium bicarbonate supplementation significantly improved 200 m freestyle performance . Similar results were noted by Zajac et al. . They concluded that sodium bicarbonate is an effective buffer during high intensity interval swimming. Co-ingestion of sodium bicarbonate and creatine seems to further enhance performance because of the different metabolic pathways they use . If co-ingestion of sodium bicarbonate and creatine actually further enhances performance is not clear because research design did not include bicarbonate-only and creatine-only group . Although supplementing with sodium bicarbonate can improve exercise, some people have difficulty with their stomach tolerating bicarbonate as it may cause gastrointestinal distress . Castell, Donald O., and Stephen M. Levine. “Lower Esophageal Sphincter Response to Gastric AlkalinizationA New Mechanism for Treatment of Heartburn with Antacids.” Annals of internal medicine 74.2 (1971): 223-227. Sasyniuk, Betty I., Vija Jhamandas, and Maria Valois. “Experimental amitriptyline intoxication: treatment of cardiac toxicity with sodium bicarbonate.” Annals of emergency medicine 15.9 (1986): 1052. Matson, Larry G., and Z. Vu Tran. “Effects of sodium bicarbonate ingestion on anaerobic performance: a meta-analytic review.” International journal of sport nutrition 3.1 (1993): 2. Carr, Amelia J., Will G. Hopkins, and Christopher J. Gore. “Effects of Acute Alkalosis and Acidosis on Performance.” Sports Medicine 41.10 (2011): 801-814. Lindh, A. M., et al. “Sodium bicarbonate improves swimming performance.” International journal of sports medicine 29.06 (2007): 519-523. Zajac, Adam, et al. “Effects of sodium bicarbonate ingestion on swim performance in youth athletes.” Journal of Sports Science and Medicine 8.1 (2009): 45-50. Mero, Antti A., et al. “Combined creatine and sodium bicarbonate supplementation enhances interval swimming.” The Journal of Strength & Conditioning Research 18.2 (2004): 306-310.